I would like to say a huge thank you to David and his team(s) for a fantastic trip. 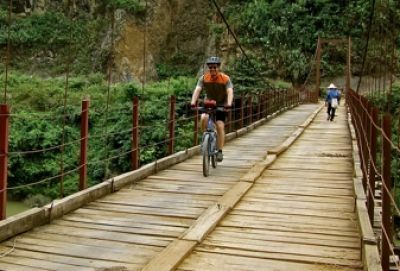 Cycling was a great way to experience the real Vietnam and Laos, and we're missing it now that we're off the bikes! This trip formed part of a 4-month tour for us, and has been the highlight so far, great scenery, wonderful company, some great photography, and of course, good Lao Lao! This was my third holiday with redspokes and just as good as the two previous ones. 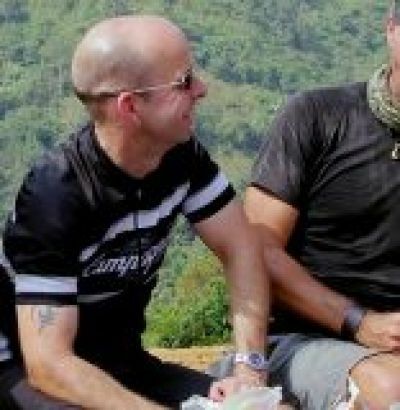 The holidays feel like real adventures (you get a long way off the beaten path) but the organisation is superb. Each holiday has given an opportunity to get to know local people and understand a bit more about local cultures. The cycling is fantastic, but stopping, looking and talking are just as important. I cannot rate redspokes holidays highly enough. 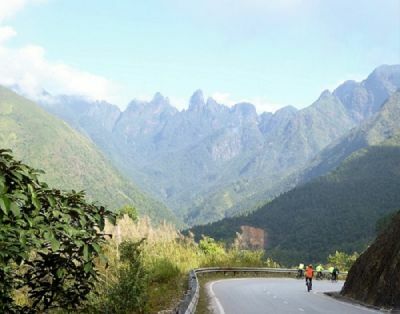 This was the bike tour of a lifetime (so far). I say "so far" because the pleasures provided by this tour have inspired this Yank to consider even more adventurous outings! 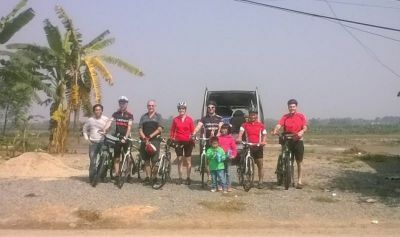 redspokes did a great job feeding and housing us and moving us along through many kilometers of challenging roads and terrain in Vietnam and Laos. The other riders in the group were jolly fine chaps and lassies. Tour leader Dave is a fountain of wisdom, enthusiasm and energy. redspokes' UK staff was very helpful with pre-tour arrangements. Vietnam and Lao was made amazing by David, Phong and Dao Lit by their ability to relate to me as an individual. My view of this is that each of them addressed the individual needs of each participant on the trip. David personally discussed with me very early on what it was I was seeking. I talked to David about why I had come on the trip and we worked out a plan to accommodate my needs as an individual trip participant and the needs of everyone else. The big things for me were scenery - what will I see? experience? smell? participate in? how does each local community operate? what is important? 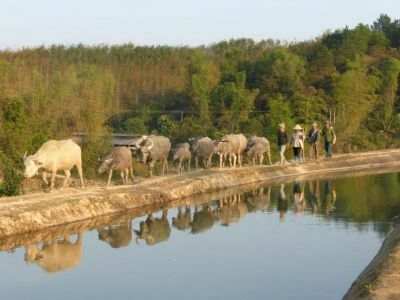 How many water buffalo? why do you need these water buffalo? what do you get for each water buffalo? Children what happens - what is the rhythm and plans for the emerging country? where are they? where are the schools? medical? what happens when why and how? ?| and then cycling - that was pretty obvious!!!. They met the view I had before I left and then some instead of me feeling like I had gone on a bulk buy trip. The situations in each country were vastly different. David, Phong and Dao Lit adjusted the trip to accommodate. The recognition of cultural differences was extremely important and those needs were met. Thanks to David, Phong and Dao Lit the individual attention of each of these extremely unique people made this an incredible journey, Ka kete ano.
" This was my third holiday with redspokes and just as good as the two previous ones. 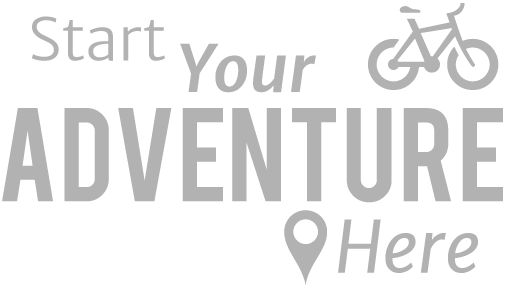 The holidays feel like real adventures (you get a long way off the beaten... "